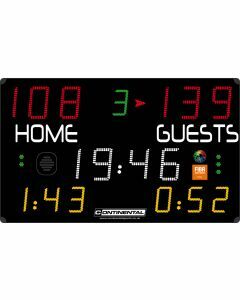 Continental supplies scoreboards, shot clocks and sports hall clocks as part of a full service sports hall package. 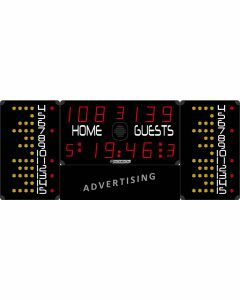 We offer electronic multi-sports scoreboards to provide scoring for all sports and sport-specific scoreboards for such sports as judo, wrestling, tennis, ice hockey, table tennis and many others. 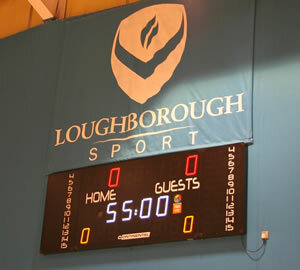 If you can't find the scoreboard you want please call us - we can even provide bespoke solutions. 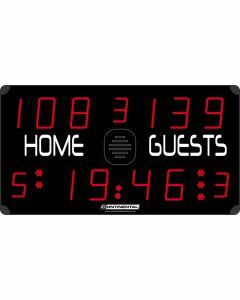 At the foot of this page we have shown our two most popular school sports hall scoreboards - the COMPACT 3000 and the ECO 800 - but please have a look around at the other scoreboards we offer as they may suit your needs more closely. 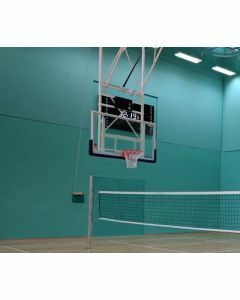 We offer multi-sports soreboards that comply with the requirements of various levels of sports such as the 3 different FIBA levels of basketball, and others that provide additional foul timers if handball is your main activity. 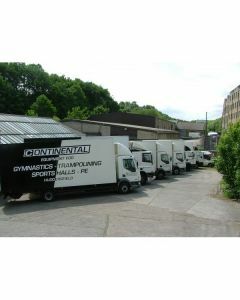 Please discuss your requirements with us and we can recommend the "best-fit" for your requirements. 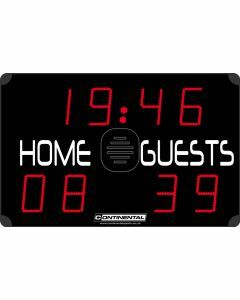 A pair of freestanding shot clocks to mount on the floor. 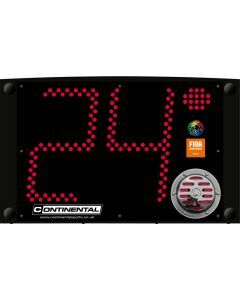 Stand-alone operation and compatible with the Multi-top scoreboard. With a separate, standalone horn. 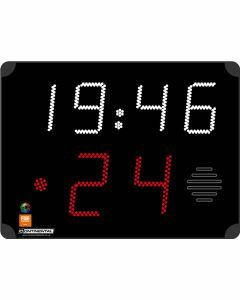 A pair of shot clocks which can stand on the floor or be mounted to the basketball goals or wall. 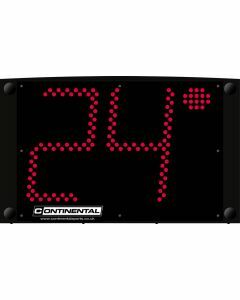 Require a Continental scoreboard to operate. Complete with integral horn. 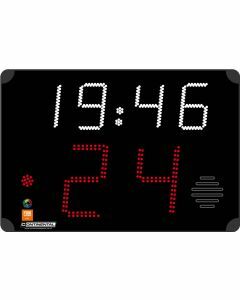 A pair of shot clocks which can stand on the floor or be mounted to the basketball goals or wall. Stand-alone operation (not linked to a scoreboard). With an integral horn. 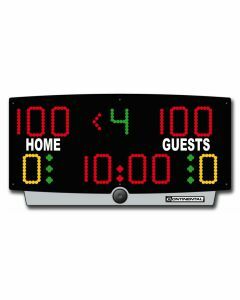 A pair of powder coated steel brackets to mount a pair of shotclocks to a pair of basketball goals or to a solid wall above a backboard.